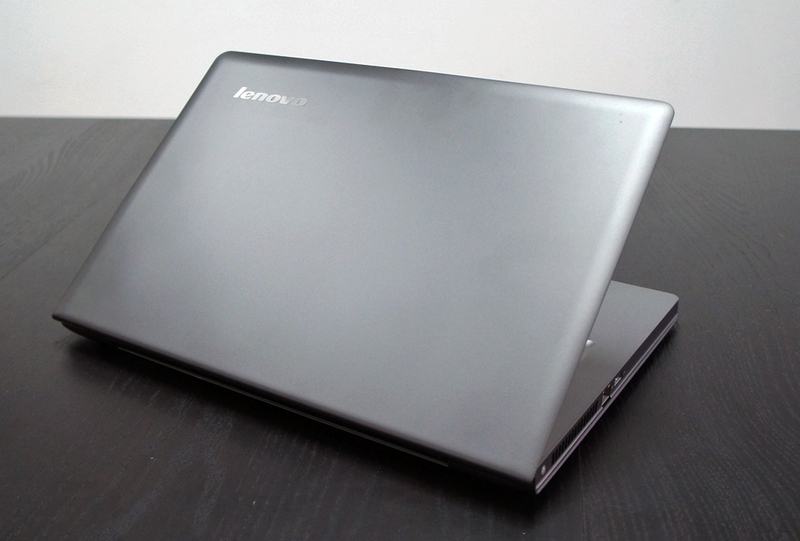 Lenovo’s U Series IdeaPads are all about the blend of style and substance. 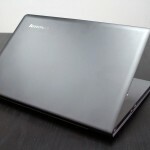 We’re fans of the ultraportables and ultrabooks in the line and were eager to see how the mainstream U400 stacked up. 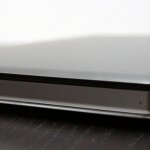 On first glance you might mistake this IdeaPad for a MacBook Pro thanks to the all-metal body, minimalist design, and skimpy port selection. Once you get beyond looks, the U400 impresses thanks to good performance and longevity. All in a package not too heavy to carry around if you need to. 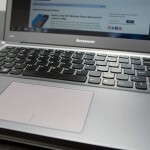 Is the Lenovo IdeaPad u400 the right notebook for your needs? Read on to find out. Who is the U400 For? 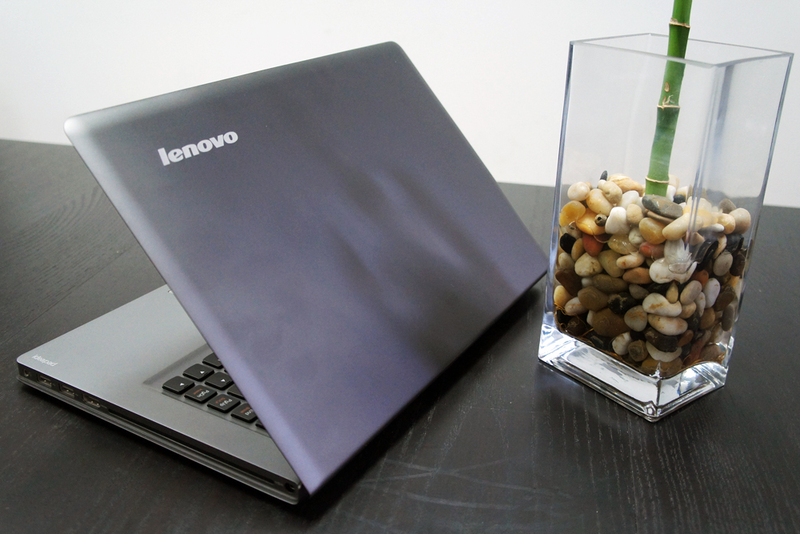 People looking for a sturdy mainstream notebook that won’t choke under heavy multitasking. 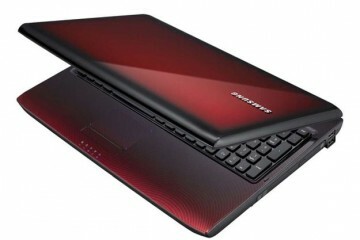 Users who don’t intend to play graphics intensive games or need robust multimedia editing power. Those needing a portable yet powerful system that does more than an ultrabook yet isn’t so heavy that carrying it all day is a pain. 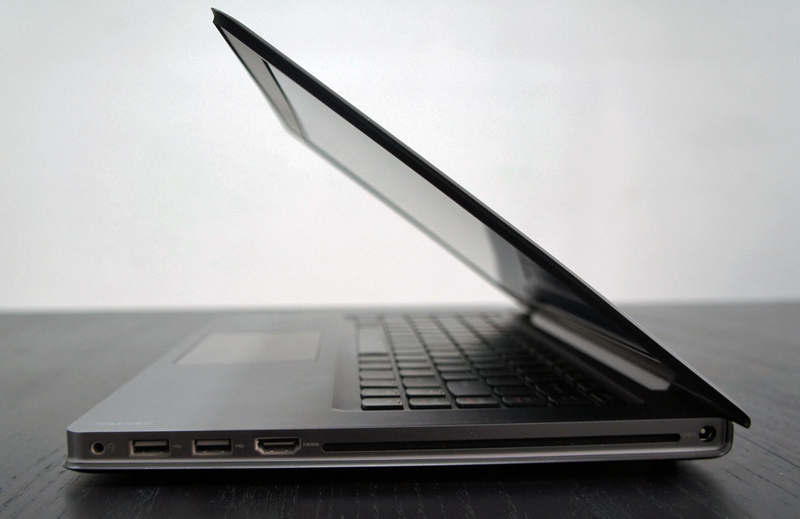 The best way to describe the design of the IdeaPad U400 is to say: Imagine a MacBook Pro. 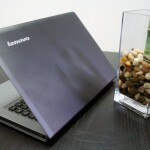 Now put Lenovo’s logo on it. That sounds harsh, I know. And unnecessarily reductive. 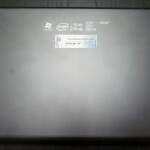 But that’s not a knock on the IdeaPad. In broad strokes, the U400’s “one-piece aluminum shell”, “intelligent glass touchpad”, and chiclet keyboard all evoke the Apple aesthetic. At the same time this design is also a continuation of the U series look. I think it’s more noticeable with the U400 because of the size. 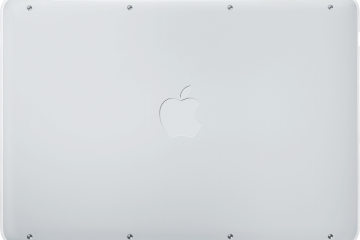 At 13.4 x 9.1 x 0.9 inches with a 14-inch display it straddles the the space between the 13 and 15-inch Apple models. 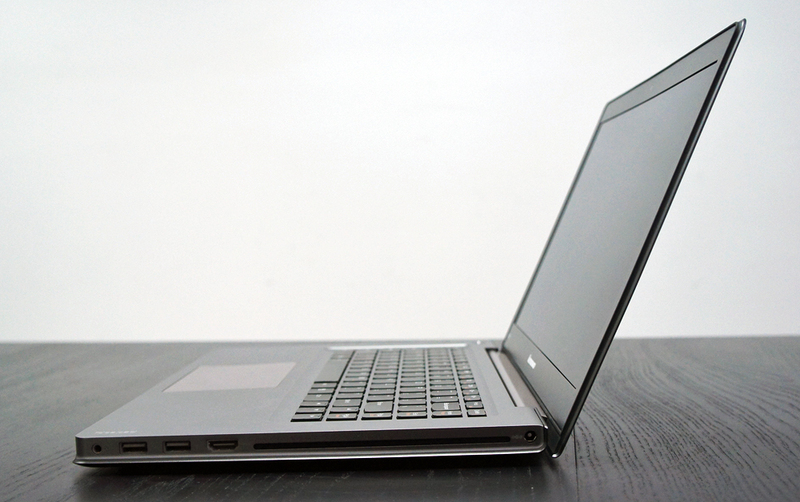 Though the notebook sports a sturdy all-metal design it only weighs 4.4 pounds. I like how the matte dusky gray aluminum feels under my fingers and hands. 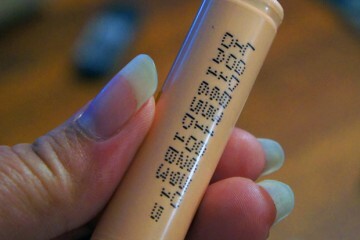 The lid could do a better job not picking up fingerprints, especially as there’s little to detract from them. 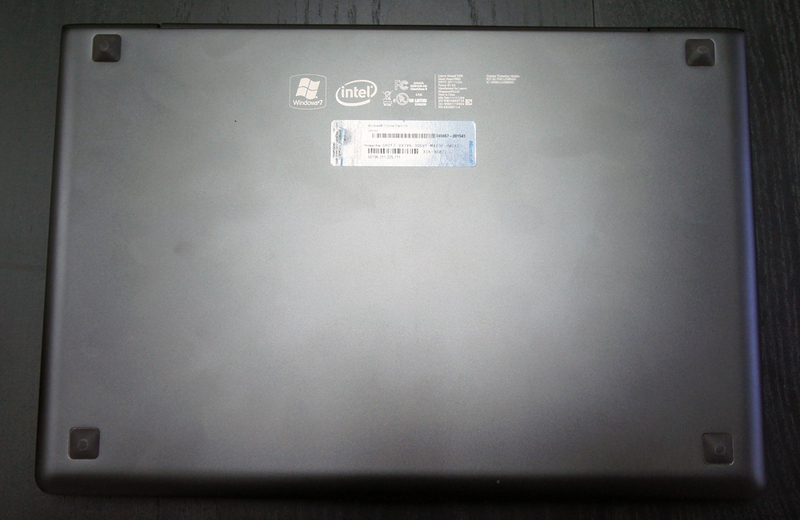 The bottom and back of the notebook are both smooth, so there’s no removable battery or discernible way to get at the innards to change the hard drive or RAM. The disappointments in design come from the more practical areas. At this size the manufacturer had plenty of room to include plenty of ports, but instead we only get 1 USB 3.0 and 2 USB 2.0 ports, Ethernet and a slot-loading DVD drive. No VGA output and no SD card slot. 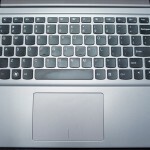 Not only does the U400’s keyboard look like the one found on a MacBook, it feels like it, too. It’s serviceable and comfortable, but doesn’t offer strong tactile feedback or the accuracy-upping dip in the center of the keys. 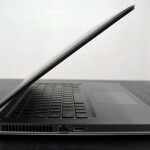 I’m used to IdeaPad keyboards not living up to the Lenovo standards given to the ThinkPad line, but I still wish for something more than “adequate” in this area. 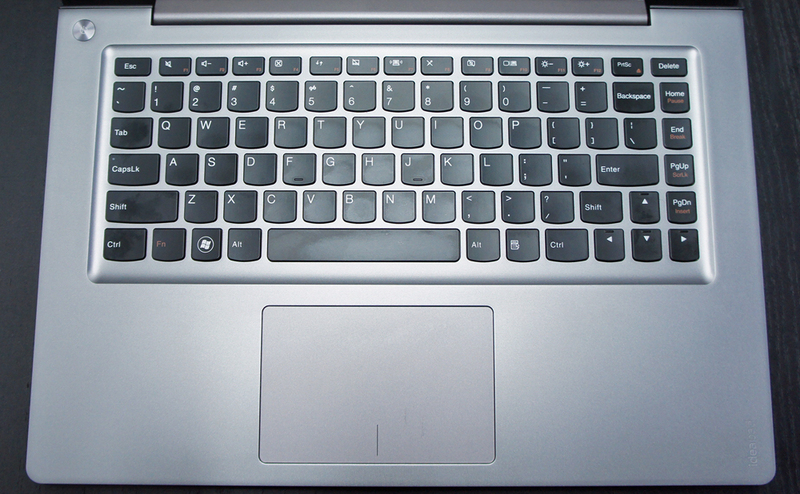 Another annoyance is the shrunken Backspace and Shift keys on the right. They’re small to make room for a column of keys that no one needs as much as they need Backspace or Shift. I accidentally hit them so much I learned how to re-map keys to avoid the issue. 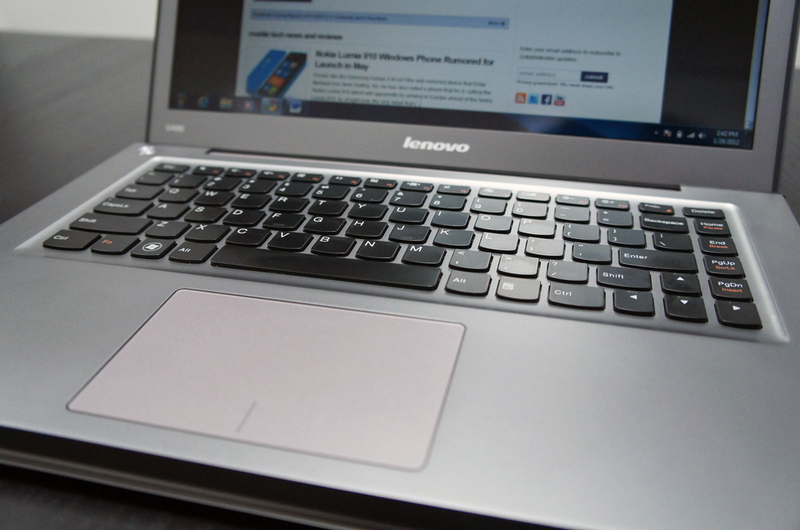 The wide glass touchpad is both beautiful and easy to use for basic mousing. The smooth glass surface offered no friction and offers precision and accuracy. 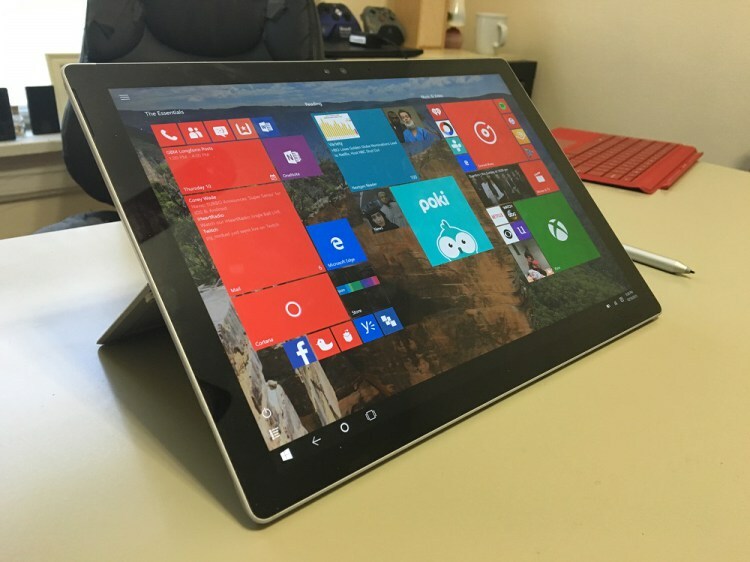 Executing typical multitouch gestures like two-finger scroll or pinch to zoom reveals how finicky and oversensitive it is for anything involving more than one finger. That sensitivity can be tweaked in the Mouse Settings of the control panel. Users will need to, as the defaults don’t offer a smooth experience. There are additional three an four-finger gestures that mimic functions I’m more used to seeing in OS X. When you can get them to execute they’re useful. 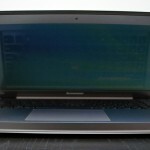 The 14.0 glossy display has a sadly typical 1366 x 768 resolution. 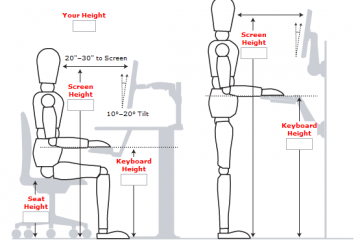 On a screen this size I’d pay more for 1600 x 900 to take best advantage of the space. Glossy screens tend to do well with colors and true, deep blacks, and this one is no exception. They also usually have narrow viewing angles; no exception there, either. Watching video is a pleasant experience as long as you keep the display positioned in the sweet spot. Audio quality on the U400 is impressive for a notebook. Volume is enough to rock out for real when necessary, and the bass and treble are round enough that music actually sounds as if it has layers. Still flatter than you’d get from external speakers, but better than average. 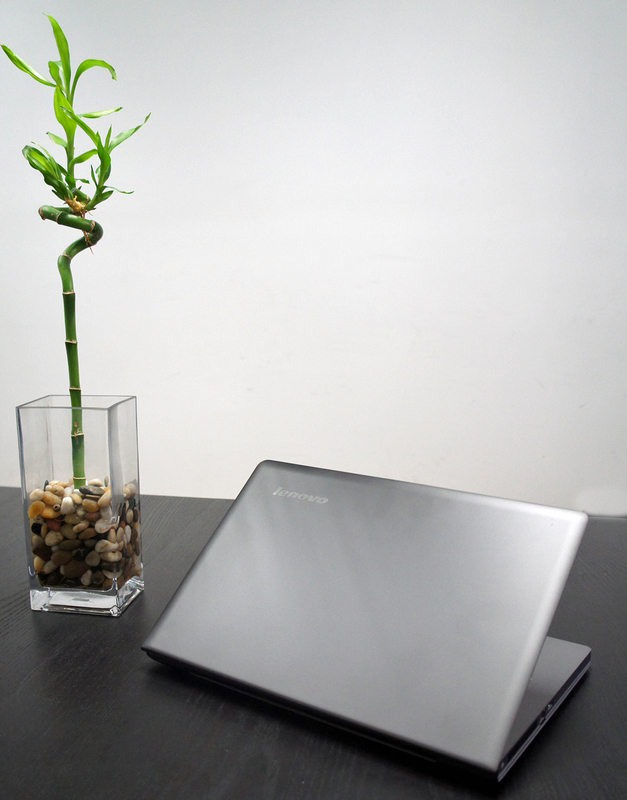 The 1.3MP webcam also offers better than average picture quality for an embedded model. Colors aren’t as deep as I’d like but are true. Plus there’s not much blur, even when you move around quickly. It’s capable of 720p video chat on systems that support it. Multimedia fans will appreciate the inclusion of Intel’s Wireless Display Technology, which allows users to broadcast whatever is on the screen to an HDTV provided you have a the separate $99 adapter. My review unit (09932-9U) has an Intel Core i5 2430M processor, 6GB of RAM, and an AMD Radeon HD 6470M graphics processor backed by 1GB of video RAM. 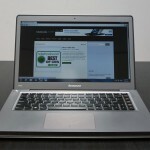 In overall performance, the IdeaPad U400 did well. A monster multitasker won’t have any trouble running multiple programs and switching between dozens of tabs in Chrome or Firefox or both, as I did. Even with a traditional 5,400 rpm hard drive inside it booted in a snappy 46 seconds. Graphics intensive tasks are another matter. Though the U400 has a discrete GPU, it doesn’t activate when needed at all times. AMD’s Catalyst Control Center utility will mark some programs as needing “High Performance” and thus activating the Radeon GPU. However, the average user won’t even know this is possible. I discovered that the CCC didn’t think that Firefox or the image editing program Paint.net needed better performance when both of those should get it automatically. Users can manually change the settings for programs, but this is tedious and shouldn’t be necessary. Even with High Performance activated users won’t find this satisfactory for anything beyond casual gaming on Facebook. Real games are playable, but framerates are slow enough that it’s not worth even loading them. Video isn’t a problem, though. Even when streaming or watching 1080p clips I didn’t see any dropped frames. The notebook performed well when scenes transitioned from light to dark or with languid motion. Whenever I used a program that taxed the GPU I noticed that the U400 got noticeably hotter. When just surfing the web and typing in Word it was cool enough to keep on my lap thanks to the breathable keyboard and vent on the left side. But when watching streaming video or playing games the temperature went up. It got hot enough on the left side that I needed something between the laptop and my lap. 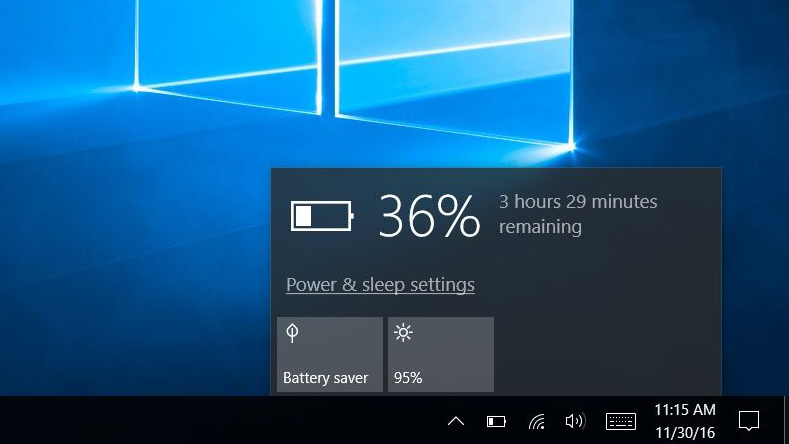 On the LAPTOP Magazine Battery Test (constant web surfing over Wi-Fi with the screen set at 40%) the U400 lasted for 6 hours and 3 minutes. A nice score from a notebook this size. With on and off use it could last you all day. 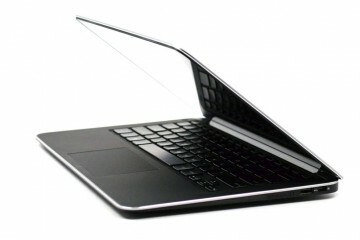 The most obvious competitor is the MacBook Pro line from Apple. The U400 matches it in style and design easily. And at $884 it’s less than the least expensive model in the Pro line. 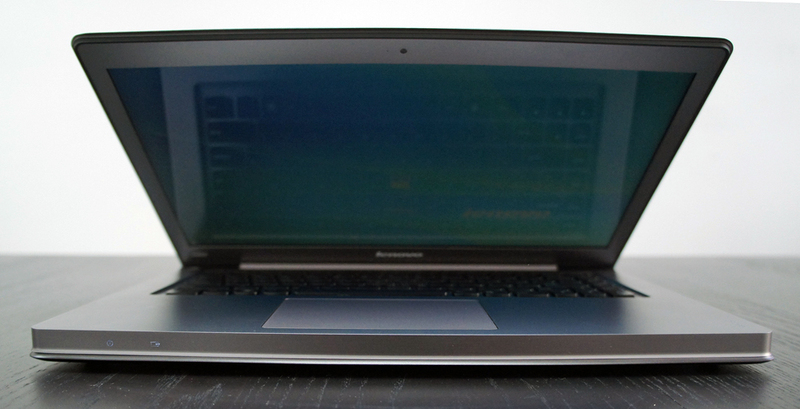 However, when comparing graphics prowess the MacBook Pro 15-inch leads thanks to a more powerful GPU. 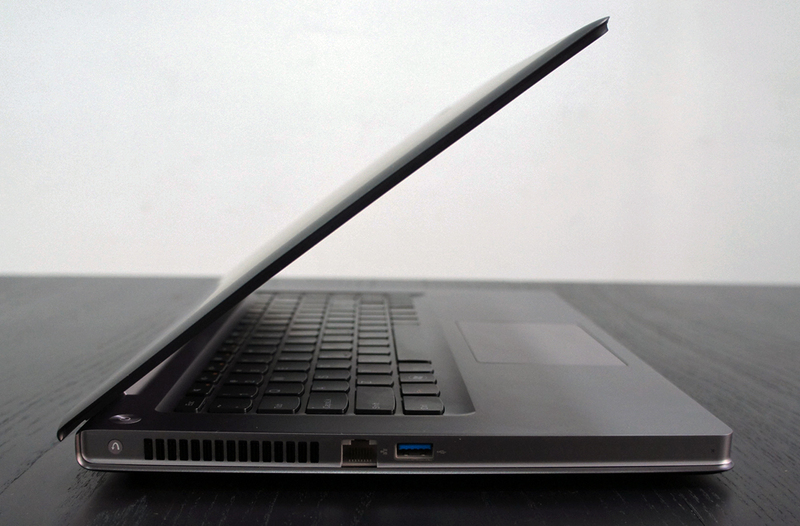 The 13-inch Pro only comes with Intel’s integrated graphics, so the U400 has the edge. 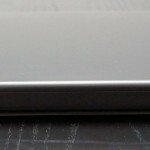 Looking to slightly large systems, the 15.5-inch Sony VAIO SE is the same weight (4.4 pounds) and at 14.5 x 10.1 x 0.9 inches, not much bigger than the U400. 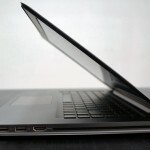 The VAIO also has AMD graphics, but that GPU offered a better gaming experience. Plus you get a full HD (1920 x 1080) resolution on the display. 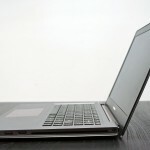 The speakers on the VAIO are weak compared to the U400, as is the battery life. 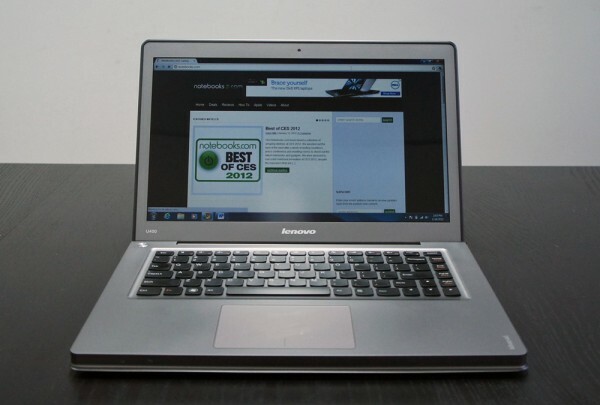 At $884 the Lenovo IdeaPad U400 is a good value for a well-built mainstream notebook that offers excellent overall performance. 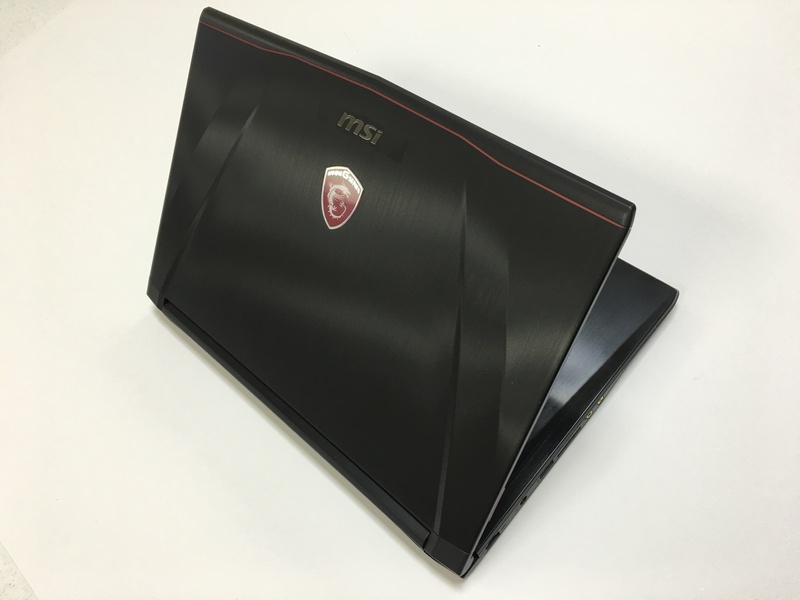 If the middling graphics performance were the only drawback, it would be easy to recommend this notebook. 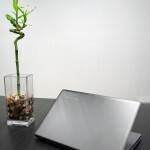 The issues with the keyboard and touchpad are a big distraction, especially for such important components.